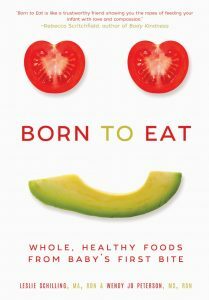 I sat down with my long time friend, fellow dietitian, mama, and co-author of the new book Born to Eat, Leslie Schilling. We share our experience as kids with family members who dieted and how we began to notice the intergenerational impact of dieting as adults with kids of our own. But that’s just the warm up. In one of my favorite conversations to-date, you’ll learn about why Leslie had to drop her “achievement idol” in order to find true happiness in life, recover from the traumatic high risk pregnancy that left her hospitalized for nearly two months, and find a way to make meaning of her good friend’s untimely death that left her devastated. Leslie is an amazing mom and friend because of her challenges in life, not despite them. We eventually get to chatting about her amazing book, Born to Eat, which we joke is like “body kindness for babies”. 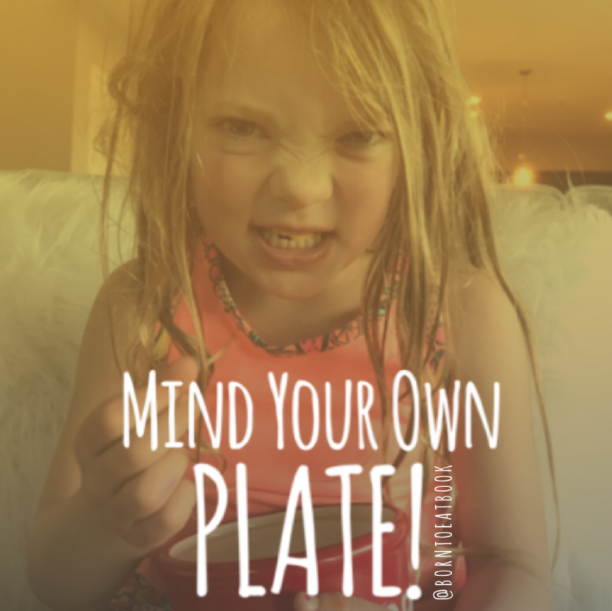 You’ll learn all about how Leslie came to embrace baby led weaning as a feeding approach for her family and then show me and her co-author, our friend and chef/dietitian Wendy Jo Peterson how to do this approach without freaking out. Beyond a book about food, you’ll get letters to share with caregivers to set boundaries around food and body comments and you’ll get motivation for keeping your family’s mindset in line with body kindness and against diet culture. This is the perfect book for baby showers, new parents, and parents and caregivers to kids through the ages. You can even get an autographed copy of Born to Eat. Contact Leslie via her email leslie@schillingnutrition.com. Leslie is a master’s level, registered/licensed dietitian who specializes in disordered eating, sports nutrition, and weight management. She received her Bachelor of Science and Master’s degrees both from Appalachian State University in Boone, NC. Leslie has worked with recreational, high school, collegiate, and professional athletes and performers. She has worked across many practice settings including nutrition research, acute care and outpatient pediatrics, adult and pediatric weight concerns, as well as in recreational and professional athletic training facilities. Leslie has served as an adjunct instructor in the Graduate Nutrition Program at the University of Memphis and a guest lecturer at the University of Nevada, Las Vegas (UNLV). Leslie is a born speaker. She has been invited to provide nutrition programs and presentations to teams and professionals across the nation. Leslie also reviews and writes for local media, professional and consumer publications, and is a media spokesperson. 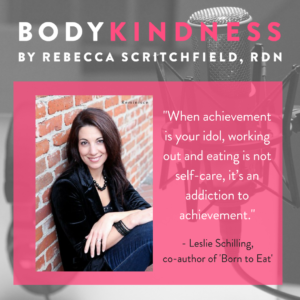 Leslie is the coauthor of the book Born To Eat (Skyhorse 2017) and the owner of Schilling Nutrition, LLC, a private nutrition consulting practice in Las Vegas, NV. Leslie is a member of the International Association of Eating Disorder Professionals (IAEDP), the International Federation or Eating Disorder Dietitians (IFEDD), the Collegiate & Professional Sport’s Dietitian’s Association (CPSDA), and the Behavioral Health Nutrition (BHN) and Nutrition Entrepreneurs (NE) Practice Groups of the Academy of Nutrition and Dietetics. She is also a member and conference committee member of the National Strength & Conditioning Association (NSCA). Leslie has been accepted into The National Speakers Association (NSA) and is one of the few Board Certified Specialist in Sports Dietetics (CSSD) in the Las Vegas area.